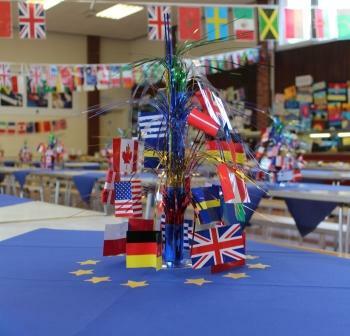 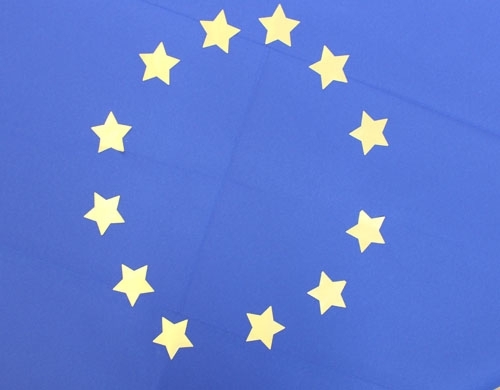 A love of all things European at Senior School! 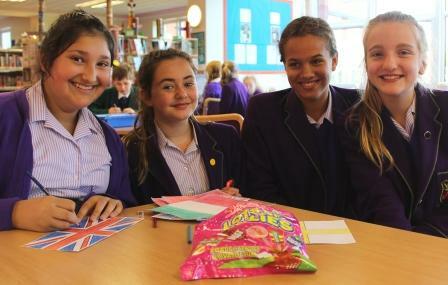 We celebrated this special day in true style at Senior School! 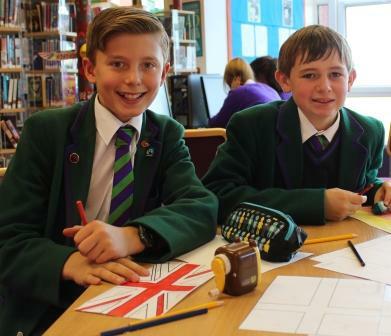 Pupils took part in a ‘guess the idiom quiz’ whereby they had to translate various idioms from a foreign language into English and also a flag colouring exercise, which took place in the LRC during lunch. 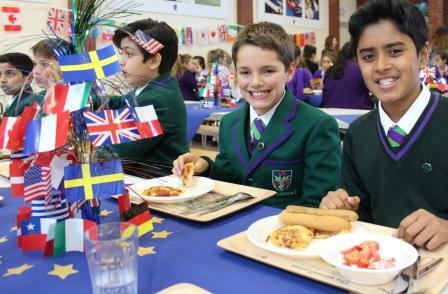 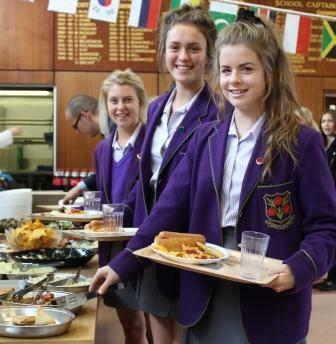 The menu at lunchtime itself was an amazing array of foods from countries all over Europe. 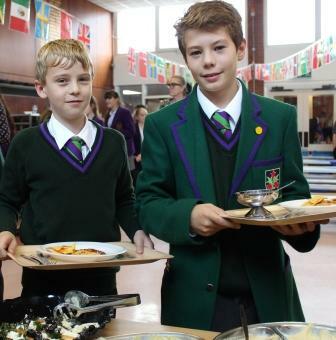 Spanish paella, Italian pepperoni pizza and Greek moussaka were just a few of the dishes available for staff and students to eat. 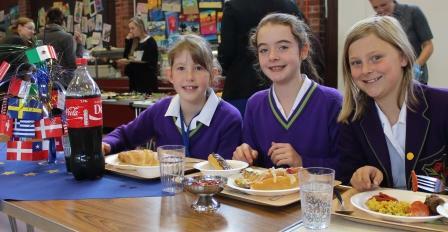 Desserts included a traditional English victoria sponge, Dutch apple tart and French croissants. 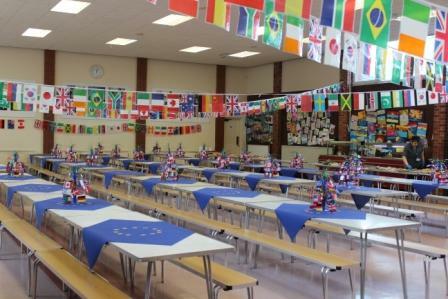 Flags from many countries were hung in the dining room and the tables were decorated with European flag tablecloths – it really was a European treat for everyone! 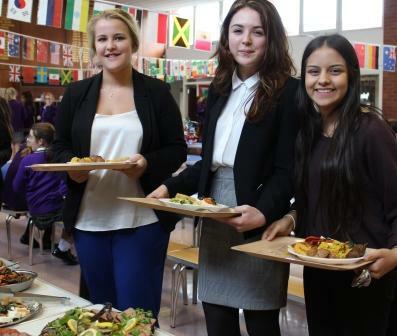 Well done to Mrs Ballan and her wonderful catering team for all of their hard work in organising such a fabulous spread!